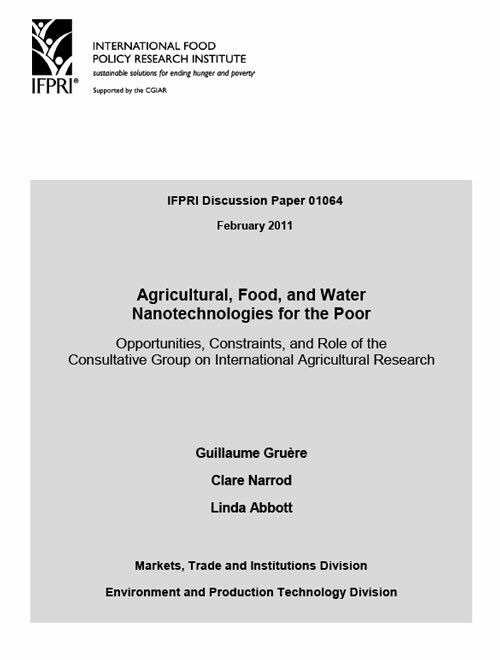 There are a number of potential opportunities associated with agricultural, food, and water nanotechnology for the poor, but to achieve such opportunities a number of challenges need to be overcome. This paper first provides a rapid assessment of key technologies that could have a large impact on the poor via increased agricultural productivity, improved food and water safety, and nutrition. Second, it reviews some of the main challenges to their deployment and adoption by the poor. It concludes with a discussion of the potential role of the CGIAR in facilitating the poor?s access to beneficial nanotechnologies.